The Amber Film Collective was founded in the North East of England in 1969, with a self-determined remit to record working-class life in its region. As such it formed part of a wider network of workshops in the late-1960s and 1970s. While many of these groups have disappeared, Amber has continued not only to produce highly regarded work, but also to engage in training and encouraging new filmmakers in its own region and across Europe. Amber 's contribution to British film culture should, therefore, be located both within an important strand of independent filmmaking, and a tradition of social realism that dates from the documentary movement of the 1930s but that also has clear antecedents in post-war European neo-realism. These elements, together with Amber 's explicit political and ethnographic commitment, and its particular institutional context, combine to produce a history that exemplifies many of the strengths and weaknesses of British film culture in the late twentieth century. Part-art cinema, part-documentary, Amber's evolving humanist aesthetic has produced a body of work that in its integrity, honesty and commitment, remains one of the great unsung achievements of British cinema. Amber 's first film, Maybe (1969), had its origins as a student film by Murray Martin and Graham Denman . Having obtained financial support from Northern Arts ( Amber 's only continuous sponsor), they then produced Launch in 1973, documenting the construction and launch of a tanker at the Wallsend shipyards. Produced with a budget of only £400, Launch exemplifies Amber 's approach to aesthetics, politics and working practices. The influence on Amber of the British documentary movement and even the newsreels is clear, though there are important differences and shifts of emphasis. There is, for example, no narration, and the treatment of the royal visitor subtly undercuts the established newsreel treatment of such events, marginalising the VIPs that are conventionally the focus of attention, and shifting the political significance to the representation of labour and community. In doing this, Amber both acknowledge and engage with their cultural heritage. Amber 's work, therefore, can also be seen to build upon a tradition of enabling working-class self-expression that goes back to Bugle Blast, Penguin New Writing, and the work of Mass Observation during the Second World War. Amber 's commitment to accessibility can be contrasted with the general anti-narrative, Counter Cinema stance of much of the workshop movement. This is one example, along with its geographical remoteness from the metropolitan media and its sometimes curious funding arrangements (including owning both a racehorse and a pub), of the genuine eccentricity that has played a part in Amber 's survival. 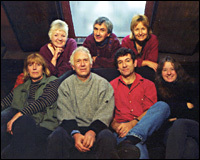 With funding from Channel 4 under the terms of the ACTT Workshop Declaration , Amber produced its first feature film, Seacoal , in 1985. The result of two years living and working with the seacoalers, the film incorporates elements of straight documentary, improvised sketches and fully dramatised reconstructions. Contrary to the charge of romanticism that is sometimes levelled against Amber , and to which they seem sometimes too ready to plead guilty, films such as Seacoal strive for an honest depiction of the frequently harsh realities of working-class life on the margins, one which certainly pays tribute to its dignity but which is far from romantic. Furthermore, the films stand as important social documents, as these different ways of life are steadily eradicated. This is not to suggest, however, that Amber 's work simply follows a blend of various traditions. They consistently engage critically with the heritage of documentary and Neo-Realism and have not been afraid to experiment with anti-realist practices. T Dan Smith (1987), for example, is a documentary that puts on display the making of the documentary itself, together with archive footage, interviews with Smith himself and others, and a dramatised version of the Poulson scandal. Nevertheless, although different in style, T Dan Smith shares with Amber 's other work a respect for its audience and a political stance that is interrogative without being didactic. It is disappointing, therefore, that films such as Amber 's Like Father (2001) can only obtain a very limited theatrical release. Like Father is arguably Amber 's most accomplished film to date, exemplifying their characteristic working practices (two years building the film in the community with a largely amateur cast, including the three main leads), their aesthetics and understated politics in a narrative that interweaves the personal and the political with genuine social authenticity and considerable emotional force. Over the past thirty three years, Amber have not merely survived but thrived, in spite of the erratic financial context for independent, regional and workshop production. It is unfortunate that a distribution and exhibition system increasingly aligned with mainstream commercial product has restricted opportunities for audiences to view their original, accessible and relevant films. Impressionistic doc following the launch of a new ship at Wallsend. Challenging educational film about teenage pregnancy.